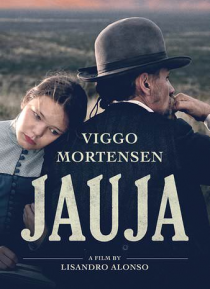 Viggo Mortensen stars in this astonishingly beautiful and gripping western about man's desperate search for his daughter in the violent wilderness of 19th century Patagonia. JAUJA begins in a remote outpost in Patagonia. Captain Gunnar Dinesen has come from abroad with his fifteen year-old daughter. She falls in love with a young soldier, and one night they run away together. When Dinesen realizes… what has happened, he decides to venture into enemy territory to find the young couple.